Osteopathy is a system of diagnosis and treatment that overcomes pain and immobility. The osteopath looks at posture and body alignment, which affects how the body functions as a whole. Mechanical problems or lack of mobility in one area of the body often produce tension and pain in other areas. The osteopath uses gentle, manual techniques on the body to ease pain, reduce swelling, alleviate muscle spasm, and improve joint mobility. The osteopath also diagnoses in a similar way to orthopaedic specialists, and uses specific osteopathic techniques to determine the true source of the client’s condition. Cranial Osteopathy is a refined and subtle form of osteopathic treatment that encourages the release of stresses and tensions throughout the body, including the head. It is a gentle and extremely effective approach, which may be used in a wide range of conditions for people of all ages. Babies with colic can respond well to cranial treatment. Also, uneven neck movement in babies, which can lead to skull-deformation, resolves quickly and painlessly within only three to four treatments. During Cranial Osteopathy, the Osteopath gently supports the head, moving it slightly, while the body is encouraged to utilise its natural healing mechanisms. Many people describe the treatment as a floating sensation that can enhance a great sense of release and lasting relief from pain. During the course of our lives, our bodies become patterned with stresses or traumas. If they are overwhelming, the stresses and traumas become locked in the body as sites of inertia. These sites often hinder the ability of our essential blueprint for health to manifest itself at a cellular level. Common causes of inertia are physical injuries, emotional and psychological stresses, birth trauma and toxicity. 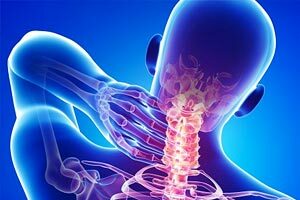 Cranial Osteopathy offers a way to be free of these sites of inertia. Dr. Nicholas Bisetto is a registered Osteopath who graduated from RMIT University with a double degree in health and applied sciences (Osteopathy). What initially drew Nicholas to Osteopathy was how treatment could be beneficial in treating and managing so many different conditions across a person’s lifespan. Osteopathy is not limited to musculoskeletal complaints alone but can be useful for those suffering from chronic pain, headaches, stress, gastrointestinal complaints and respiratory disorders – just to name a few. Nick offers tailored treatments to suit the needs of the individual to assist in making a healthier and pain free life for his patients.